If you’re new to sports betting or just want to brush up on some of the finer points, this guide will help you get to know some key terms as well as many of our most popular bet types. 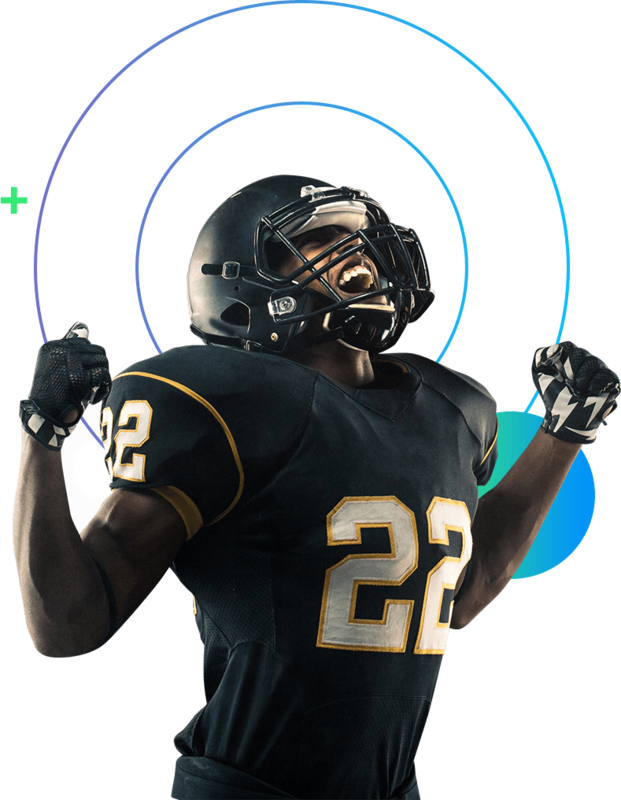 Of course, if you have any specific questions about FanDuel Sportsbook, our customer support team is there to help. A straight bet is an individual wager based on the outcome of a single event. Straight bets include spreads, moneylines, and totals (also called over/unders). A straight bet covers when the bettor wins and the bet pays out. Certain straight bets can also push, meaning the bet is a tie. In those cases, the bettor receives his wager back, but does not get any winnings. 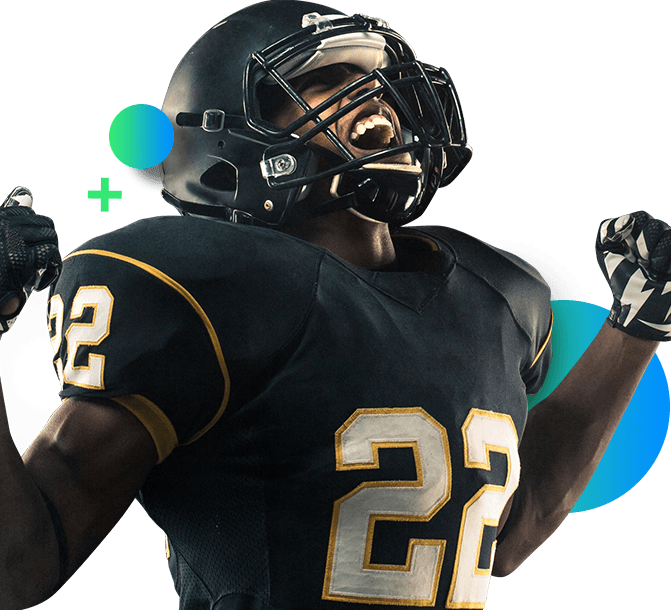 Straight bets are typically less complicated than other bet types like parlays and teasers, so they’re great for new or casual bettors. As we explain straight bets, we’ll use the following hypothetical matchup between the FanDuel Favorites and the Lovable Losers. When you bet against the spread, you’re not betting on which team will win the game, you’re betting on the margin of victory or defeat. So the question isn’t Who will win? but rather How much will they win by? The point spread (i.e. the margin of victory or defeat) is indicated by the top number in the Spread column. A minus sign (-) means that a team is favored, whereas a plus sign (+) indicates an underdog. Want a clear understanding of risk and reward? The number underneath the spread shows you the amount a bettor would have to wager to win $100. So a -110 means that the bettor would have to wager $110 to win $100. Why not an even split? Every Sportsbook charges a commission, which is a fee to process and handle your bet. In our example, the FanDuel Favorites (-7) would need to win by at least 8 points to cover the bet. So if they only won by 5, the bettor would lose. Since the commission is -110, a bettor would need to wager $110 to win $100. On the other hand, the Loveable Losers (+7) are 7 point underdogs. In order to cover, they would have to win the game outright or lose by fewer than 7 points. A moneyline is a straight up bet on the outcome of a game. The favorite is always indicated by a minus sign (-), and the underdog is indicated by a plus sign (+). In the case of the favorite, the moneyline is the amount a bettor would have to wager to win $100. For the underdog, the moneyline is the amount a bettor stands to win if they were to wager $100. In our example, the FanDuel Favorites are -300. Since they’re more likely to win, a bettor would have to wager $300 to win $100. On the other hand, the Lovable Losers are +250. Since they’re heavy underdogs, a bettor who wagers $100 would stand to win $250. Moneylines always assume a base of $100, but you can bet more or less if you want. A total, or over/under, is a bet on the total amount of points scored in a game by both teams combined. A bet on the over means that both teams must combine to score more than the indicated point total, whereas a bet on the under means that they must combine for less. If the teams combine for the indicated total exactly, then the wager is a push (or tie) and all bets are voided and you get your money back. In our example, the point total is set at 46. A bet on the over means that the FanDuel Favorites and Lovable Losers must combine to score more than 46 points for the bet to cover. Since the commission is -110, a bettor would have to wager $110 to win $100. Props, or proposition bets, are sometimes called side bets because they allow bettors to wager on specific events within a game rather than the game itself. Props are often presented as moneylines and can cover a wide range of in-game events, including individual player performances and more. To see available props, just tap on any matchup. Once you understand straight bets, you can start to explore more complicated bet types. Parlays and teasers both combine multiple wagers into a single bet. That means that if any one wager in the bet fails to cover, the bettor loses the entire bet. If you’ve familiarized yourself with straight bets, then read on to start getting the hang of parlays and teasers. A parlay is a bet that is dependent on the combined outcomes of two or more wagers. The wagers can be a mixture of multiple bet types, including spreads, moneylines, and over/unders. A parlay only pays out if each wager within it covers. For that reason, parlays tend to have higher payouts than each wager would if placed separately. A teaser combines three or more point spread wagers into a single bet and allows the bettor to adjust the spreads favorably. The bettor gets to choose how much to adjust the spread, but that adjustment is the same across every wager in the teaser. Since teasers shift the odds in favor of the bettor, they tend to have lower payouts than each wager would if placed separately. For example, a 5-point teaser would move the spread for each wager favorably by 5 points. So if the FanDuel Favorites (-7) are originally favored by 7 to win, their spread would be adjusted to -2, and they would only need to win by 3 or more points. Likewise, the Lovable Losers (+7), originally 7 point underdogs, would be adjusted to +12, meaning they could now lose by as many as 11 points and still cover their part of the teaser.